$184.73 L.O.L. Surprise! 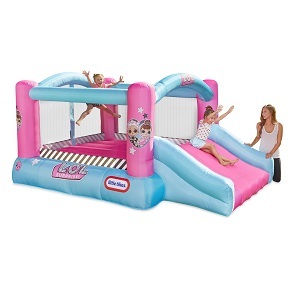 Jump 'n Slide Inflatable Bounce House with Blower - dealepic . This L.O.L. Surprise Jump ‘n Slide Inflatable Bounce House comes with Blower.